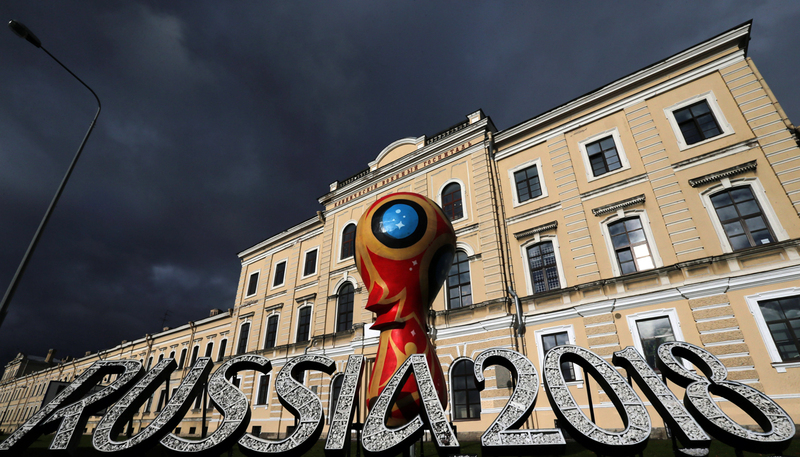 The official emblem of the 2018 FIFA World Cup in Russia installed in Pirogovskaya Embankment. The Russian national football team will play a friendly football match with Belgium on March 28 at the recently reconstructed arena in the country’s southern resort city of Sochi, the Russian Football Union (RFU) announced on Dec. 20. The match will be held at the over 47,700-seat capacity Fisht football arena in the Russian Black Sea resort city of Sochi. The Fisht Arena, which hosted the opening and closing ceremonies of the 2014 Winter Olympics and Paralympics in Sochi, underwent reconstruction works to be adjusted for hosting matches of the 2017 FIFA Confederations Cup and 2018 FIFA World Cup. The 2017 FIFA Confederations Cup will be held next year between June 17 and July 2 at four stadiums in Russia and they are Otkritie-Arena in Moscow, St. Petersburg Arena, Fisht in Sochi and Kazan-Arena in Kazan. Russia is currently in full-swing preparations for the global football tournaments after the country won the bid to host the 2018 World Cup at the FIFA Congress in Guatemala on December 4, 2010. The victory came following a tight race against the bid from England, the joint bid from Portugal and Spain and the joint bid on behalf of Belgium and the Netherlands. The country selected 11 host cities to be the venues for the matches of the 2018 World Cup (June 14-July 15) and they are Moscow, St. Petersburg, Sochi, Kazan, Saransk, Kaliningrad, Volgograd, Rostov-on-Don, Nizhny Novgorod, Yekaterinburg and Samara.